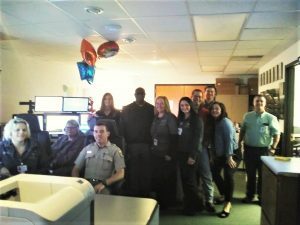 Our hardworking dispatchers and public safety telecommunicators serve as a vital link between the community and fire, medical, and law enforcement agencies. Acting as a critical lifeline to other first responders, these unsung everyday heroes are always there to answer the call. 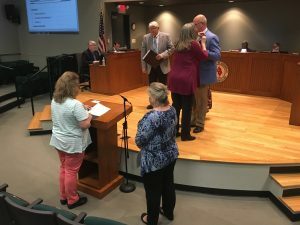 Every year during the second week of April, the telecommunications personnel in the public safety community are honored. This week-long event is a time to celebrate and thank those who dedicate their lives to serving the public. It is a week set aside so everyone can be made aware of their hard work and dedication. 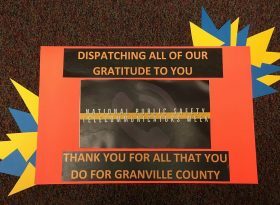 We encourage all residents to celebrate and honor our telecommunicators, and to thank them for all the sacrifices they make to create a better and safer world for the public. 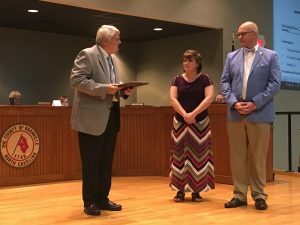 At the April 15 meeting of the Granville County Board of Commissioners, a presentation of the Governor’s Volunteer Service Award for Granville County was made to Tally Ho First Baptist Church of Stem. The group, nominated by Murdoch Developmental Center, was recognized with a pin and letter of appreciation from Governor Roy Cooper. As part of the presentation, Commissioner David Smith recognized Tally Ho First Baptist Church (THFB) with a plaque presented to Kim Boyd and Rev. Eddie Nutt. 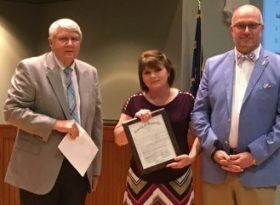 Commissioner Smith thanked the group, presented a plaque and spoke of the impact the group has made volunteering at Murdoch Developmental Center (MDC) for the past two years. THFB provides monthly parties and escorts people living at MDC all while supporting Operation Santa Claus. Through each activity the group provides loving care and compassion to the people living at MDC. Rev. 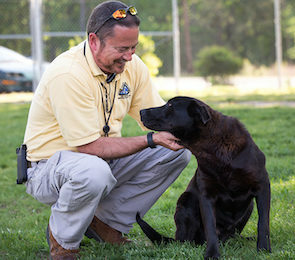 Eddie Nutt is pastor of Tally Ho First Baptist Church. 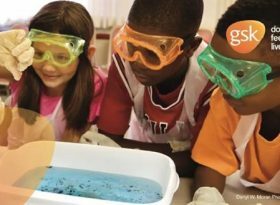 Through classes held at public libraries and in community-based centers all over North Carolina, “Science in the Summer” is designed to get kids excited about studying science with hands-on experience. The theme for the 2019 program is “The Science of Me” as students explore human biology through activities and experiments. During these educational sessions, students will learn that the human body is a complex system that is constantly working to complete tasks such as breathing, running and even picking up a pencil. At both local library branches, Level One (second and third graders) is scheduled for July 22 through July 26 from 9 a.m. until noon; Level Two (grades 4 and 5) will be held July 22 through July 26 from 1 until 4 p.m.; and Level Three (for students in grades 6 through 8) will be held July 29 through July 31 from 9 a.m. until noon. A total of twenty elementary students and 24 middle school students will be accepted for each session. A few slots are still available. 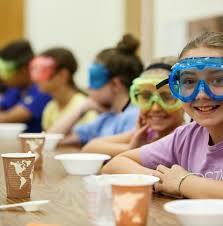 Registration continues online at www.scienceinthesummer.com and will be open until all seats are filled. Parents are advised that a waiver – which will be sent separately – must be completed within 72 hours of the registration process for enrollment to be complete. 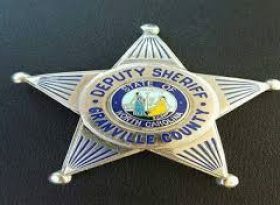 The Richard H. Thornton Library and the South Branch Library are two of four branches of the Granville County Library System. The Thornton branch is located at 210 Main Street in Oxford and the South Branch is located at 1550 S. Campus Drive in Creedmoor. 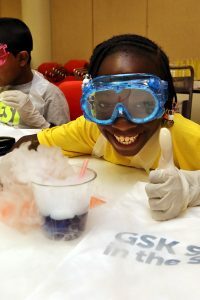 The “GSK Science in the Summer” program is being held in partnership with Morehead Planetarium and Science Center and will be taught by certified instructors. 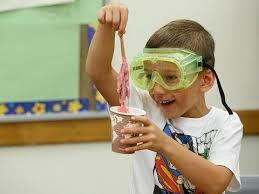 Visit scienceinthesummer@unc.edu for more information about this program or call 919-843-9379. 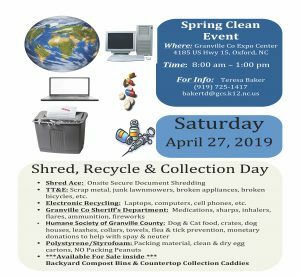 The annual “Spring Clean” event is scheduled for Saturday, April 27 at the Granville County Expo and Convention Center. During the hours of 8 a.m. and 1 p.m., residents can bring documents to be shredded or items to be collected. Accepted during these hours will be scrap metal such as junk lawnmowers, broken appliances and old bicycles; electronics such as laptops, cellphones or computer systems; medications; inhalers; fireworks; flares; ammunition; and polystyrene/styrofoam products such as packing materials, clean and dry egg cartons, etc. 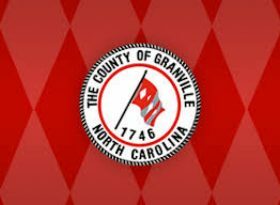 The Humane Society of Granville County will also be on site to collect dog and cat food, crates, dog houses, leashes, collars, towels, flea and tick prevention and monetary donations to assist with the Animal Shelter’s spay and neuter program. Available for sale inside the Expo Center will be backyard compost bins and countertop collection caddies. This Spring event is held each year in observance of Earth Day (April 22). A separate event is held in the Fall for the collection of additional items. 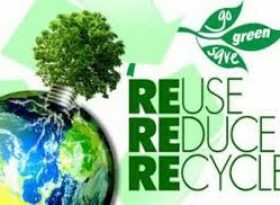 For more information, contact Granville County’s Recycling Coordinator Teresa Baker at 919-725-1417 or bakertd@gcs.k12.nc.us. 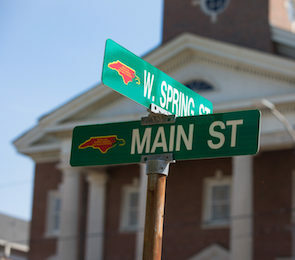 The Granville County Expo and Convention Center is located at 4185 US Highway 15 in Oxford. 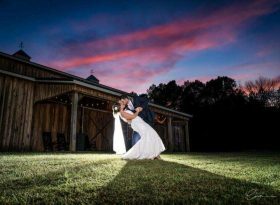 Brides planning a 2019-2020 wedding in Granville County will be taking a scenic tour on the “Bridal Bus” to learn more about wedding locations and resources available to help plan the “perfect” event. 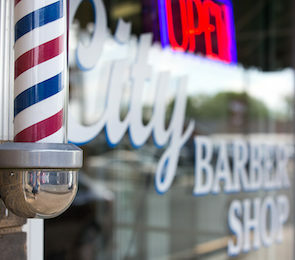 The day includes a stop at four local wedding/reception venues, as well as early access to a Vendor Show at the Clarion Inn and Suites on Martin Luther King, Jr. Avenue in Oxford. Florists, photographers, caterers, event planners, disc jockeys, rental companies, etc. will be set up to welcome the new brides – and members of the public – to display a variety of wedding service options. The Vendor Show will be open from noon until 4 p.m., with tickets now available to attend. 5:05: Tour of Thorndale Oaks in Oxford. While the Brides on Wheels bus makes its way through Granville County, the vendor show will continue until 4 p.m., with the bus scheduled to arrive back at the Clarion Inn in Oxford by 6:15. 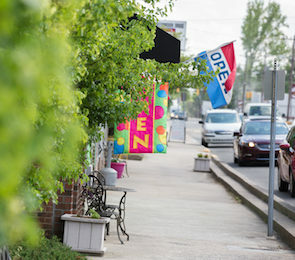 Created as a way to promote Granville County, Allen says that the bridal tour and vendor show will boost the local economy, as well as promote local vendors and make both residents and non-residents aware of what the county has to offer. The vendor show was added this year to provide information about other local resources that are available when planning a wedding or other special events. This is the second year that the “Brides on Wheels” tour has been presented. Last year’s tour attracted eight brides, one groom and their family members. 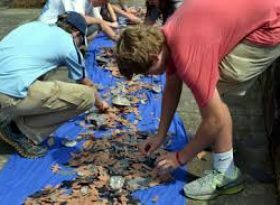 This year’s tour has grown to a larger number of participants who will see first-hand what Granville County has to offer. Each bride will receive a free “goodie bag” filled with products, certificates and coupons for helping plan their special event. Tickets are available through Eventbrite at https://granvillebows19.eventbrite.com/. Interested participants can receive a $10 discount off the ticket price by using discount code “BOWSTOUR” when buying tickets. Hurry! Seats are filling up fast! 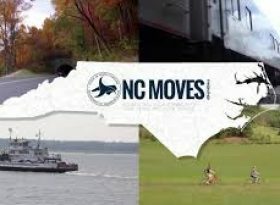 For more information about the tour or the vendor show, visit http://www.visitgranvillenc.com or contact Granville County Tourism Director Angela Allen by phone at 919-693-6125 or by email at angela.allen@granvillecounty.org.